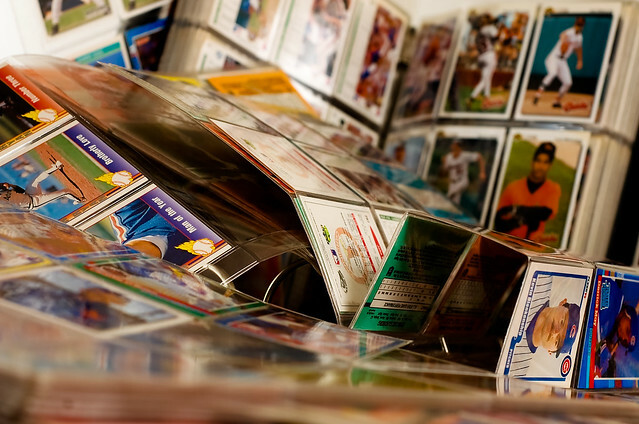 Why Are Many Sports Cards From the 1980s and 1990s Called Junk Wax? Some time ago, on a popular blogging site, I asked the question if people still collect sports cards. Honestly, it’s definitely not the hobby that it once was. I went on YouTube a few years ago and connected with many sports cards enthusiasts on their channels. Unfortunately, it seems all that they do is buy the really expensive limited edition stuff. These are things way out of my budget range. Not to mention, these “high-end products” are nothing that I would never bother to spend that kind of money on. Collecting is fun. There is no denying that. But here's the deal: collectibles are only worth as much as someone is willing to pay for them. For example, there is a massive sports card collection my grandfather had. It mostly contains a bunch of complete baseball, basketball, and football card sets from the late eighties and early nineties lying around. Understand that "back in the day" he would buy these complete sets of baseball, football, basketball, and hockey sealed at hobby stores and local drug stores. They were pretty much everywhere. At the time that he collected them, they were probably $50-100 a set. Today, you'd be lucky to get $15 cash for ANY ONE of them. Why is this? Many sports cards stores have cases of these complete sets sitting around. That’s because the print runs on these were so high. If you actually broke the complete sets down, picked out the good rookie cards and star cards, you could perhaps recoup a little bit of the original value. Some people split the sets into “team sets,” which are just a bunch of cards with players from the same team featured in a set. Otherwise, you're only going to get pennies on the dollar were you to sell those sets. A flea market is probably the only place they would actually sell. But after considering the price of a table and the fact that the market value is so low on them, it won’t be for as much as you’d like! The late 80's and 90's cards are called junk wax for a variety of reasons. The biggest one is that there is simply an absurd amount of supply. Everyone and his brother are still trying to unload these things. eBay is chock full of expired listings for very low prices. It's not even worth the cost of shipping the sets anymore, especially if they're already sorted into binders. My grandfather bought tons and tons of packs to try and build his own complete sets, while trading off his duplicates for the cards he needed to complete his sets. He did manage to get a few team sets here and there, and there are some binders around that also have complete sets. Again, factory sealed sets are the only ones worth trying to sell, because that's the only way to guarantee mint condition for PSA/Beckett grading purposes. Grading these cards is the only real money you can still get out of those cards. It costs more money that most of the individual cards are worth. So, it has to be a very special player to be even worth the effort. So, as is the case with many collections, there are dozens upon dozens of card boxes full of duplicates that no one wants. Sure, there are few great rookie cards and star cards here and there, but you'd be lucky to get $2 (with free shipping!) a piece on eBay for even some of the better junk wax cards. At this point, they hold more sentimental value than anything else. Anyone have junk wax sports cards sitting around their house? What I'd suggest is take them to a flea market or a local card store and just take whatever you can get for them. You could spend lots of time and energy sifting through the cards for the stars and rookies. You could also separate them into team sets and trying to pawn them on eBay or some other auction site. But unless it’s a hobby you really enjoy, it's simply not worth it. Honestly, though, for me, it passed plenty an afternoon and I don’t regret it. Here's a great list of the 30 best baseball cards from the 80's and 90's from the Cardboard Connection.